Comprehensive and advanced practice management for small animal, equine, large animal and mixed veterinary practices. In continuous use at hundreds of practices nationwide and beyond. ezvetpro delivers impressive performance and continuous progression. Minimal initial outlay, and a comprehensive data conversion ensures the smoothest possible transition to your new system. Imaged hardware specified for the long term, gives scalable, distributed solutions for virtually 100% uptime with large numbers of users at multiple sites. All updates to ezvetpro are free for licensed customers. This ensures that over time your application is modernised and enhanced to the same specification as would be delivered with a new system. We have never charged for a replacement software system, this gives reassurance that in the future you can still continue to use an actively developed system that is up to date, without significant additional costs. We listen to users and deliver real support through an understanding of live issues, and delivery of true solutions that work. Our friendly and knowledgable team backed by comprehensive online resources ensure early adoption of advanced features. Continual development and free upgrades in direct response to customer feedback ensures modern, powerful and relevant features are in place when you need them. ezvetpro for Windows offers a graphically rich and familiar user experience in the advanced Windows 7 or Windows 10 environments. Staff will appreciate the responsiveness of the visual interface, supporting tighter integration with the local network and file system. ezvetproweb allows access to reception records from anywhere within and beyond the practice via an easy to use browser based interface. Designed to work seamlessly from tablet, or desktop browsers. Most reception data can be searched and visualised, with screen layouts very similar to ezvetpro for Windows layouts, making adoption straightforward for practice staff. Ideal for remote access in the field in large animal practices or logging on from home to reference practice information out of hours or on call. 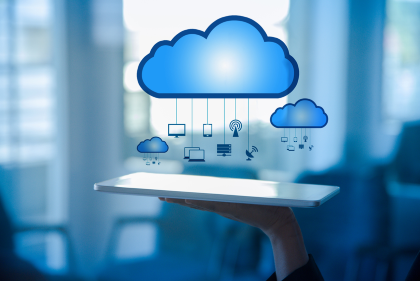 Cloud hosted Azure servers supporting extensive numbers of sites and hundreds of terminals, for the largest veterinary groups - connected live with immediate access to records saved at other locations, backed by Azure SLAs. Cloud hosted Azure servers for veterinary practices, providing the reassurance of always-on cloud computing, providing robust solutions for backup and remote access by web and windows platforms. Our new cloudFS stores documents and attachments in the cloud including edits, changes and deleted documents. Immediately available at all sites after creation. Rollback to earlier versions or perform simple archiving and housekeeping of older content. Distributed local servers for flexible, cost effective always-on access tolerant of variable local internet availability. Data exchange every few minutes ensures data is present when and where you need it. Laptop servers allow standalone access to most ezvetpro functionality on the road irrespective of local internet coverage, and rapid synchronisation on the road or at home when broadband is once again available.